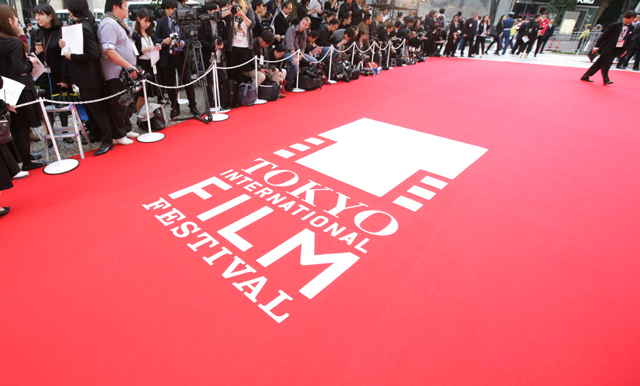 29th Tokyo International Film Festival | Guide to the Opening Event – Red Carpet: Roppongi Hills Arena viewing area for general standing audiences. Guide to the Opening Event – Red Carpet: Roppongi Hills Arena viewing area for general standing audiences. The 29th Tokyo International Film Festival Opening Event – Red Carpet will be held on October 25th, 2016 (Tue). Following are the information of admission procedures for Opening Event – Red Carpet Roppongi Hills Arena viewing area for general standing audiences. *Venue: Roppongi Hills Arena venue details here. Viewing at standing area only. *Admission will be introduced in following order. The guests in wheelchair or those who are assisted by the caretaker or needs the company of helpers. The guests with general viewing tickets. -The distribution of tickets will end as soon as all tickets are handed out. -The distribution of general viewing tickets is one ticket per person. -Please note that there will be no re-issuing of lost tickets. -Please note that there are no restrooms in the viewing area. -Due to the Japanese and foreign media coverages held at the venue, please note that the image of audiences may be broadcasted. -Please take care of your own valuables. -Be careful with your choice of clothings as the temperature decreases during this season. -The use of umbrellas and parasols in the venue are prohibited to prevent risk of accidents. Please use the raincoat at the time of rainy weather. -Please note that the event may change or be postponed due to bad weather, natural disaster or sponsor’s change of circumstances. -Making queue or standing by during midnight and early morning at venue area is prohibited. -Please follow the security guards and attendants’ instructions at the venue. We may refuse the admission to the venue or participation of the event if you do not follow the instructions. -We may apply restriction on the day of the event to prevent accidents and confusion.